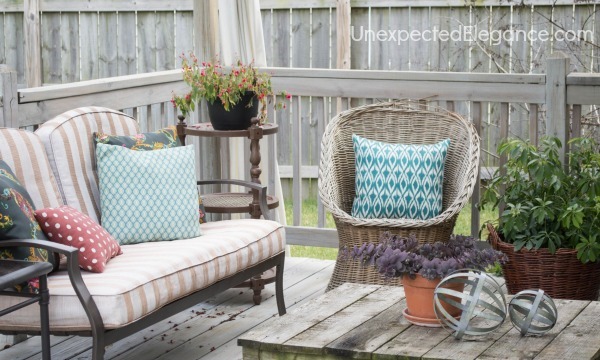 In the Spring I spent some time working to make the backyard a little “prettier” and figured out ways to update things I already had to make them more functional and more aesthetically pleasing. 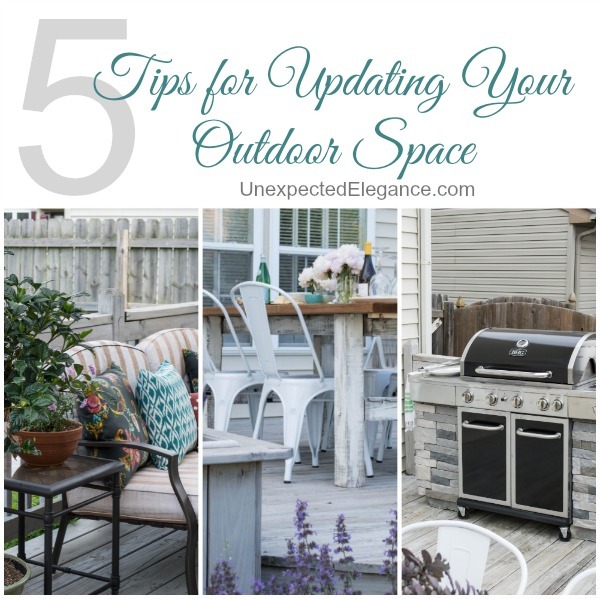 Here are 5 tips to update your outdoor space by using things you might already have! 1. Update furniture with paint. 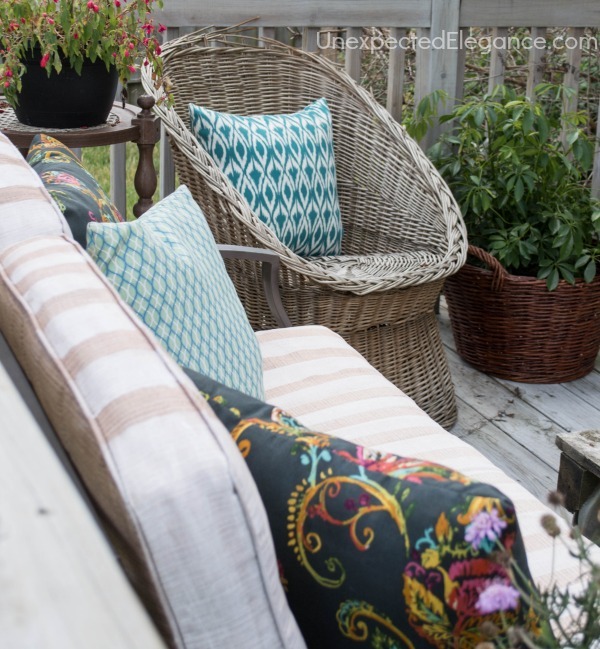 I used Frog Tape and fabric paint to add stripes to my existing cushions. It gave the furniture a whole new feel for less than $20. I have also spray painted the metal frames in the past and they have held up really well. 2. Have an assortment of potted plants. Potted plants are easily moved from one space to another. 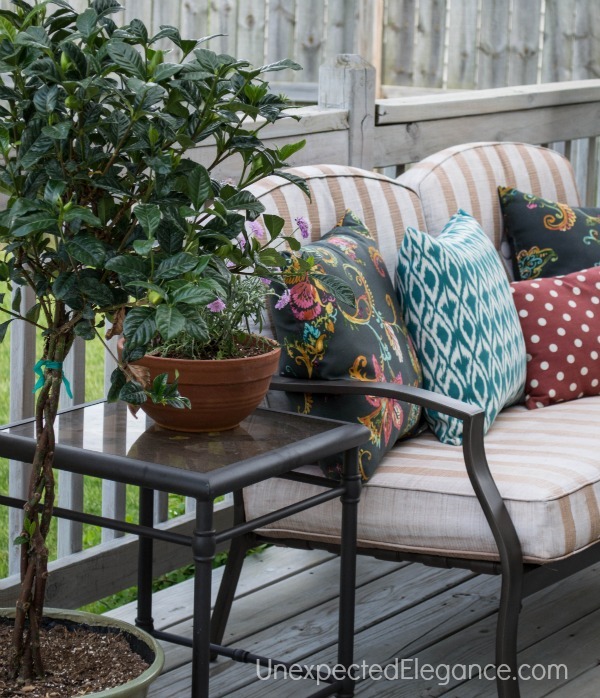 If they are sun loving plants, leave them in the sun most of the time then move them into your entertaining space when you are there to enjoy them. I also move my house plants outside when I can. Just make sure that they are in a shady spot if they are meant to be indoors and the weather isn’t too hot. 3. 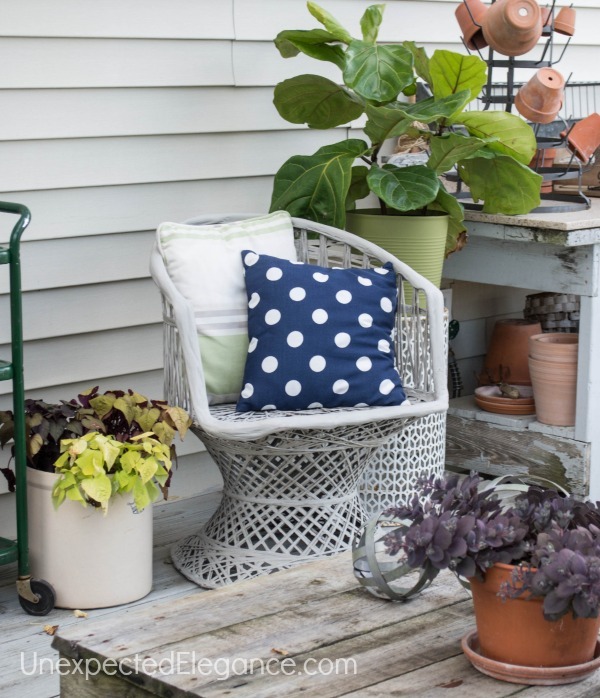 Plant annuals that will bloom and give you flowers you can bring indoors. I have a few bushes that produce flowers throughout the year. The winter is about the only time that I’m without flowers from my own flower beds. 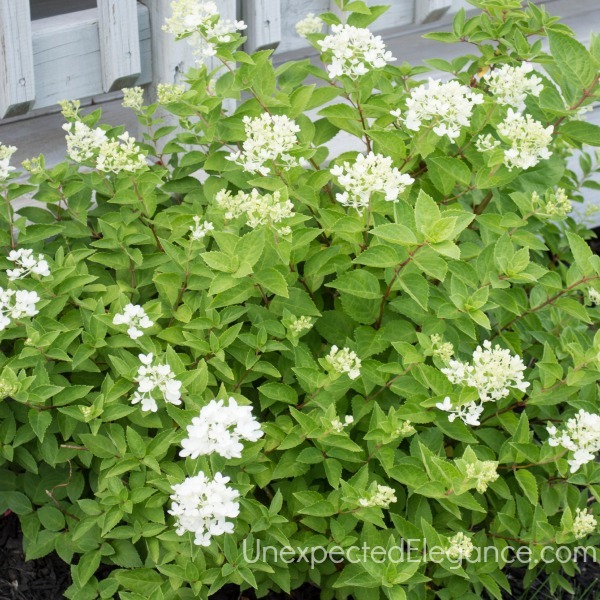 This hydrangea bush was planted at the end of the season last year and it’s already taking off. My tip: Buy plants when they are on sale. Most of my plants I got for less than $10 and within a year or two have grown into mature plants. 4. Customize your space to fit your needs or wants by doing a DIY project. 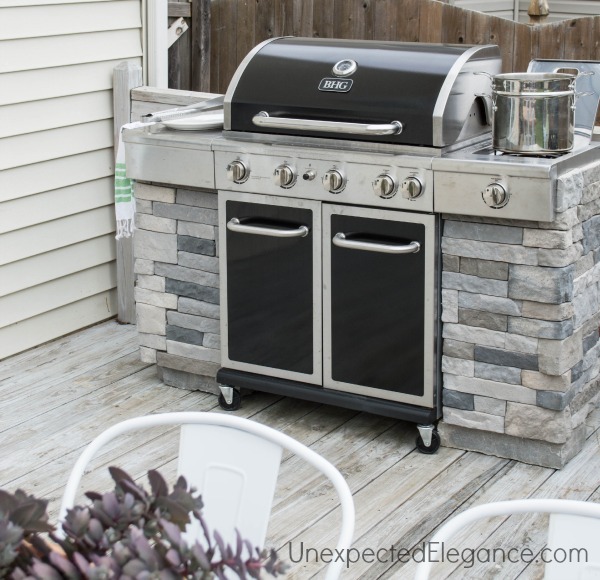 I have always wanted a big fancy grilling station, but I couldn’t justify the expense. My solution was to add panels onto my existing grill! Check out the tutorial for my DIY Grilling Station. 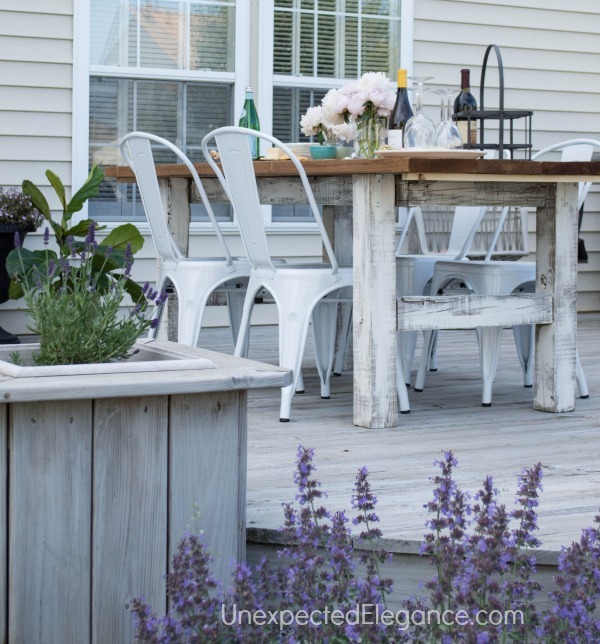 Building a simple table is another great way to save some money and customize a space. It’s not as hard as you might think and you are able to make it as large or small as you want. Our yard is fairly small and we have a pretty big shed…which sticks out. 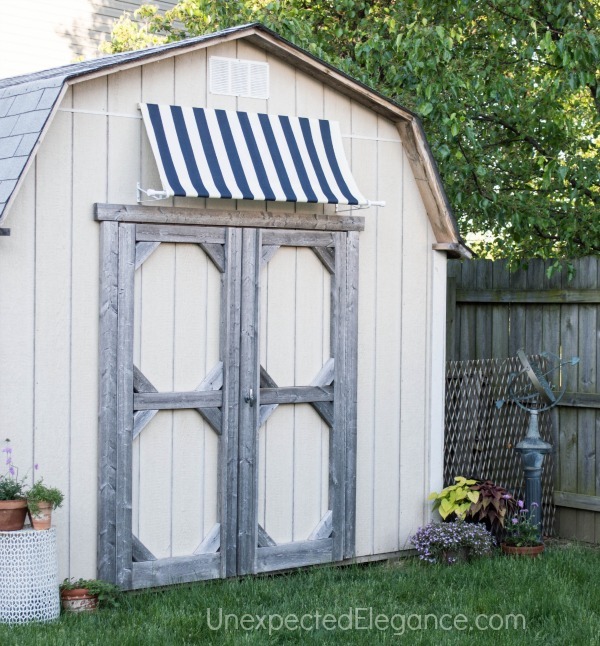 I added the DIY awning to give it a little more color and make it feel less like a utility shed. Do you have any tips for updating a space on a budget? 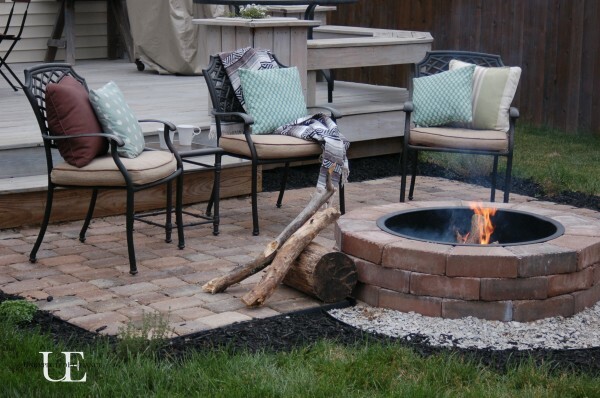 Updating Outdoor space is a good thing because changing in any space creates new environment and its give us happiness and excitement. These tips are also great and everyone can use easily. We can change the space adding many things like colorful and designer pots, unique arts and so on.